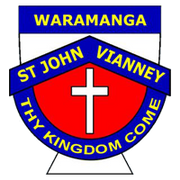 SJV are continually working hard to successfully communicate with our school community. Below are ways that we currently communicate. The SJV Website is where information is shared for SJV famililies and the community. It is an upto date useful communication tool to see what events are occuring, understand the curriculum, find newsletters and notes and much more. We have had a fantastic response to our Facebook page with over 400 followers. Facebook is a means for the school to showcase the wonderful events and activities taking place within the school and the community. Facebook is also being used to send helpful reminders to families and send messages. The Skoolbag App has changed the way we can easily communicate between the school and families. It is kept upto date with everything that is happenining at SJV. Events, Calendar, Newsletters and Notes. SkoolBag app is also used to send alerts if quick information needs to be sent out to parents and\or careers. You can select which information you want to be notified about, depending on your childs year group. This is a convenient method for families to also notify the school. Most School Notes that are placed on the Internet page and on the Skoolbag App are also emailed to all registered email addresses at the school. Some School Notes are still sent home with the eldest child of the family, or a teacher may hand out class specific notes to bring home. A digital portfolio for a parent or carer to see what your child is learning at school. If you do not have access to your childs portfolio please contact their teacher.